Are you searching for a new table lamp to perfect your home office? Or string lights for your next backyard barbeque? 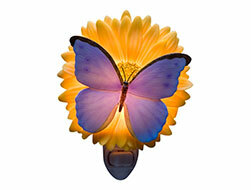 Or a nightlight for your child’s bedroom? Well you came to the right place! We offer all of that and more. Not only that but we offer an incredible variety of different options and styles. Coastal, modern, elegant, rustic, etc. You name it, we carry it. You aren’t restricted to just a couple choices, we offer our customers tons of options to pick from; we want to ensure your total and complete happiness and satisfaction.